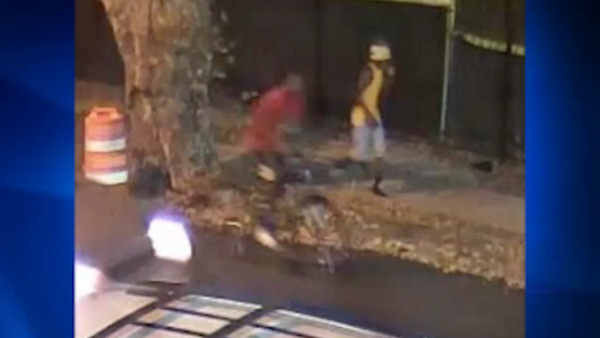 MOUNT HOPE, Bronx (WABC) -- Police are looking for a suspect and a person of interest in connection with a forcible touching incident in the Bronx. According to the NYPD, it happened at about 6 p.m. on Nov. 11 on the northeast corner of Sedgwick Avenue and Fame Hall Terrace. The suspect approached the 22-year-old female victim, from behind and grabbed her buttocks, then fled on foot, police say. He was accompanied by a second unidentified male on a bicycle, who is wanted for questioning in regards to the incident. The suspect was wearing a yellow tank-top and a multi-colored winter cap. The person of interest was wearing a red t-shirt and was riding a bicycle.